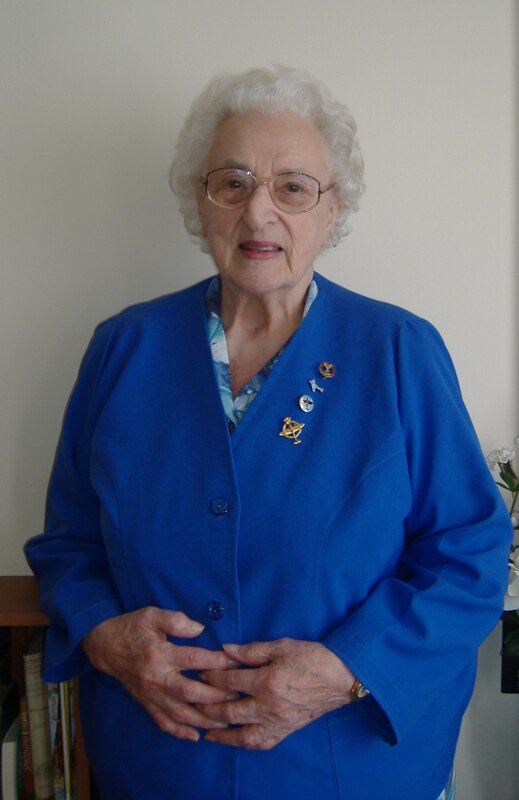 Stella Rutter, aged just 20, witnessed the gathering of over 60 senior British, American and Canadian Commanders at a ‘Farewell Party’, at Hursley Park, Hampshire, prior to the D-Day Landings in June 1944. Stella Rutter in 1944. Image courtesy of Stella Rutter. 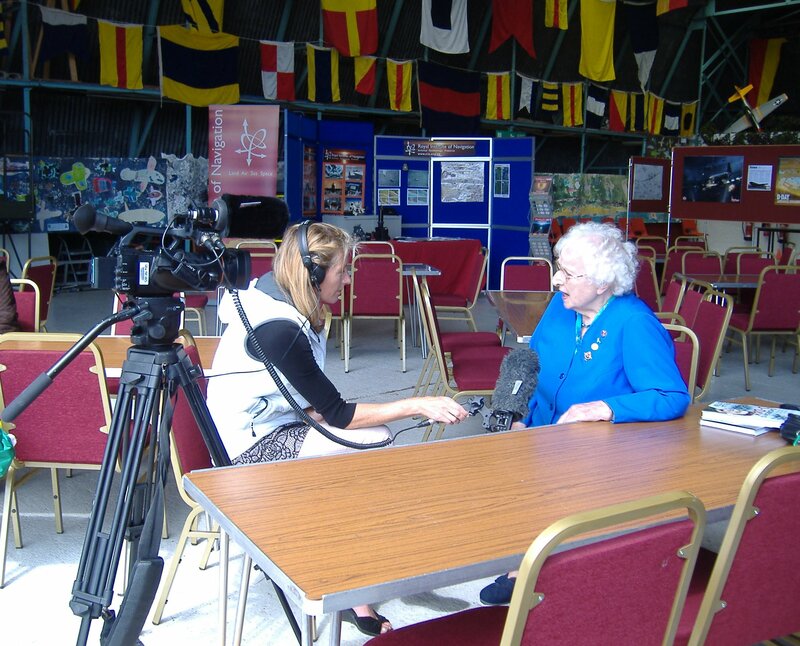 Now aged 90 her autobiography, which includes her memories of that historic event, is being published in time for the 7oth anniversary of D-Day in 2014. Stella Rutter held a unique position on the 3rd June 1944. She witnessed close up the anxieties and fears of the senior generals in the armed forces. Sixty Commanders from Britain, Canada and America gathered for a ‘Farewell Supper’ at Hursley, near Winchester. 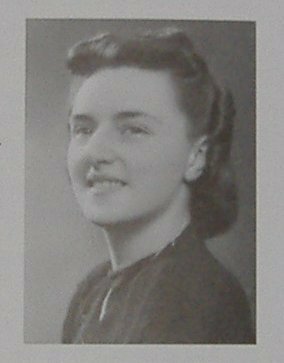 At the young age of twenty, her task was to calm them down – on the eve of Operation Overload – the Normandy Landings of 156,000 military personnel. Stella was born in Hampshire late in her parent’s marriage. She was educated at Purbrook Park School, north of Portsmouth. Her mother was brought up in the Edwardian era and had fixed ideas of how children should behave. Her sons and daughter dare not do anything other than obey her. Stella’s eldest brother was twenty years old when she was born. So she grew up in a household of older men. The consequence was that she was self-assured around men and at ease in their company. This gave her a great advantage as she reached womanhood. Stella received a good education. Her mother was skilled as an embroidery designer. Her father, Charles Broughton, was for most of his career at Portsmouth College of Art and Design, rising to the position of Vice Principal. 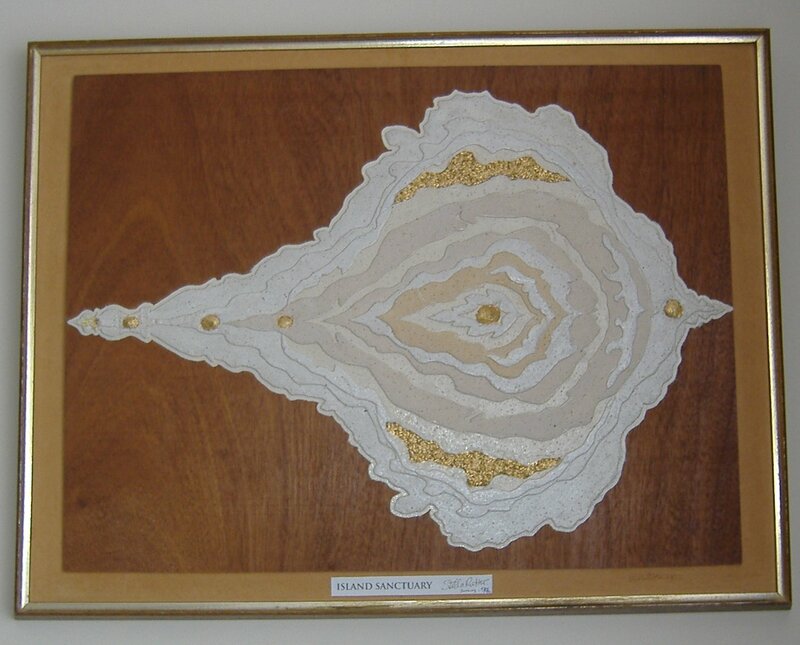 With her parents’ artistic influence she learned to draw and design from an early age. When Stella was fourteen she designed and made a pair of slippers in the shape of a bird in flight. She went on to study at Portsmouth College of Art. One of her brothers was an architect in Town and Country Planning. Stella Rutter’s Collage Artwork. Copyright Anne Grant. Stella secured a job with Vickers Armstrong based on Portsmouth’s Whale Island (H.M.S. Excellent) on the shores of Portsmouth harbour. She was employed as a civilian, working as a tracer in the drawing office, a job she secured due to her technical drawing skills. Whilst there, she absorbed a lot of general knowledge about engineering. Britain went to war with Germany in 1939. As the war progressed Stella secured a job with the Spitfire manufacturer Supermarine, at Hursley Park. They readily recognised Stella’s skills as a tracer and she became the first woman in the UK to be promoted to Draughtsman. For this she was thoroughly vetted. As a consequence her security clearance level was extremely high. This was to mark her out for the unique role she was asked to play in 1944. 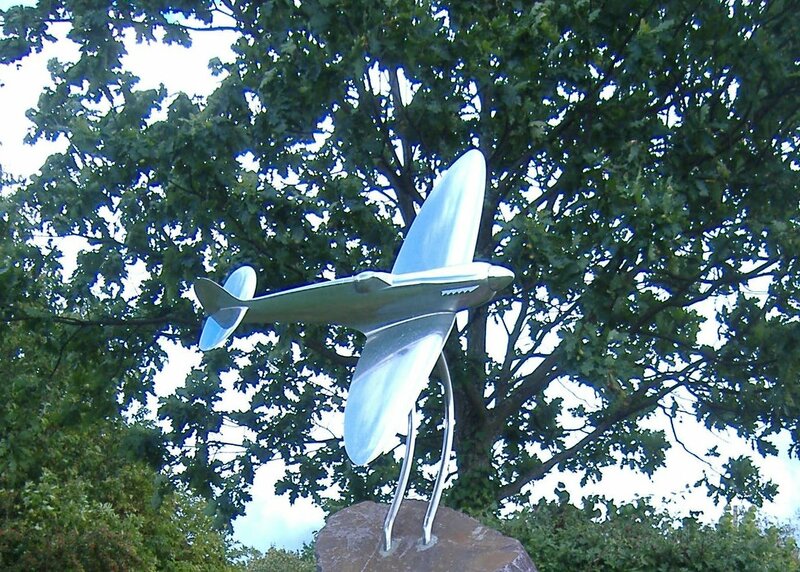 ATA Memorial at Hamble – Spitfire. Copyright Anne Grant. ‘Harvest of Memories’ by Michael Fahie. Pauline won her fight for equal pay, awarded from June 1943, after the Government finally agreed to change the rules. This was widely reported in the national newspapers.By contrast, Supermarine management quietly awarded equal pay to Stella Rutter, in the spring of 1943. She claims this was because they recognised she was doing exactly the same job as her male colleagues, with the same degree of accuracy. Supermarine, possibly in anticipation Pauline’s victory, knew when it would come into force, and applied it immediately to Stella too. In all probability this may have been because Supermarine wanted to avoid the same fuss the ATA women had attracted. The Spitfire factory was based in Woolston, Southampton, not far from the ATA Women’s Ferry Pool in Hamble, Hampshire, where pilots like Jackie Sorour Moggridge and Mary Wilkins Ellis were based. ATA Memorial Hamble. Copyright Anne Grant. Hitler’s air force bombed the Supermarine factory in Woolston but missed vital buildings housing all the Spitfire drawings. Lord Beaverbrook made an emergency visit the next day from London. He ordered the immediate removal of the administration office to the Polygon Hotel in Southampton. All the Spitfire drawings and personnel were relocated to Hursley. A few days later the Luftwaffe returned and bombed the remaining Supermarine buildings at Woolston. But Spitfire production continued safely at Hursley. In Stella Rutter’s opinion, Beaverbrook was never giving the full credit he deserved. On 2nd June 1944, British Prime Minister Winston Churchill, USA President Eisenhower, Canadian President McKenzie King were in the sleepy Hampshire village of Droxford, They were planning the D-Day invasion of Normandy. Further south in the equally small village of Southwick, nestled Southwick House. There, in the valley north of Portsdown Hill, Portsmouth, the military operations room was gearing up for the D-Day attack. The build up of British, Canadian, Commonwealth and American troops had started. They were being assembled along the shores of Hampshire and surrounding villages. Parts of the Isle of Wight shoreline had become climbing practice scenes for US troops. There they rehearsed the assault on the cliffs of Point du Hoc. When D-Day arrived, they had to climb the 100-foot cliff face. At the top were German gun emplacements, waiting in defensive positions for any attack. Stella Rutter’s high security level clearance made her destined to play her unique part in the D-Day preparations. When General Montgomery was in need of an individual whom he could trust with top-secret information, Supermarinerecommended Stella for the task. She was asked to act as Hostess to sixty Commanders as they arrived at Hursley, on the nerve-wracking eve of D-Day. Her duty was to be a one-woman reception committee. This was not as trivial as it sounds. Stella’s unenviable task was to calm their jumpy nerves. These men had already been briefed on what lay ahead of them the next day. Facing almost certain death and responsible for the lives of thousands of their troops, the Commanders were understandably anxious. Her task was to encourage the men to relax, eat and get a good night’s sleep, ready for the next day. Who Goes Where by Stella Rutter. Image courtesy of Stella Rutter. Stella was selected because of her calm and confident demeanour. Her self-assurance around men gained from her childhood upbringing and working life, had equipped her for the mature role needed that day. As a civilian, she couldn’t be commanded to do it. But she accepted the request and was sworn to secrecy for sixty years. Only a few other women were present, invited from the village as dance partners for the Commanders. The young women knew nothing of what was resting heavily on the minds of the top brass military men.One young woman, Joyce Cooke, was in for a shock. Her dance partner, many years her senior, broke down on the dance floor. The tension had proved too much for him. Both he and Joyce were swiftly surrounded and whisked away. Joyce disappeared for four days. Nobody, including her family, knew where she was. The rest of that episode is in Stella’s book! The next day, June 4th, all the Commanders were gone from Hursley. Stella kept her silence. Bad weather prevented D-Day until June 6th. On the morning of 7th June, Jackie Moggridge was ferrying another aircraft. She noticed the Solent was eerily silent and empty of sea craft. The invasion of Normandy had started. 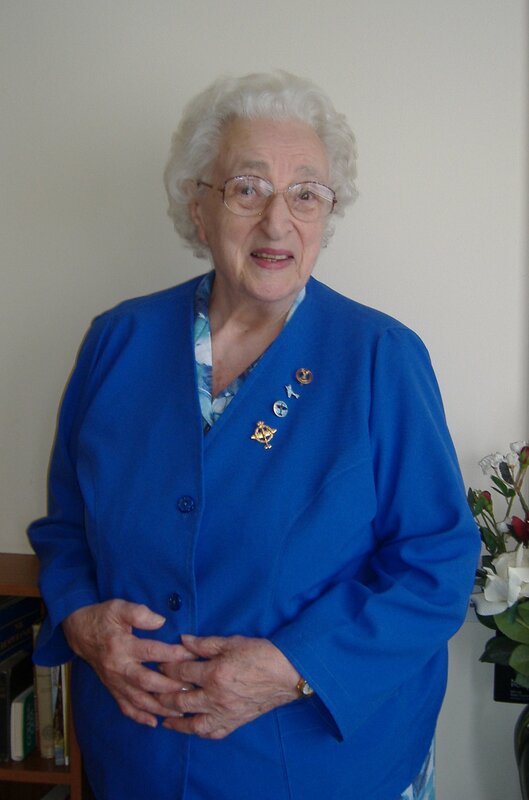 Stella Rutter wearing Spitfire Society badges. Copyright Anne Grant. After the end of the war Stella met up with some of the survivors over the following years. In 1984 the Spitfire Society was formed. They invited her to become Chairman for the central region, a position she held for four years. Stella never spoke of the part she played in the D-Day preparations, until the sixty years secrecy rule had passed. 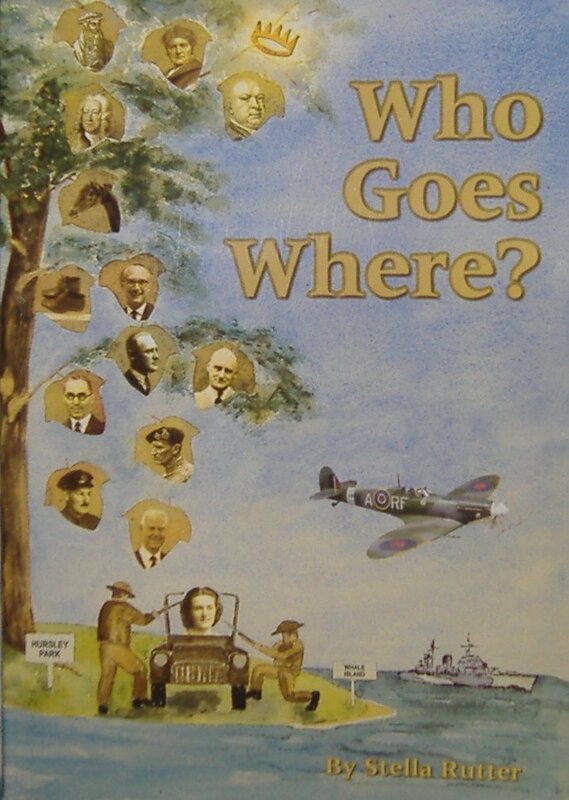 Then in 2007 Stella self-published, ‘Who Goes Where?’ which included her war-time experiences. One thousand copies were printed and sold out. Three copies are with the Royal Family. Stella received a congratulatory note from Prince Harry. She also met some of the ATA women, including Diana Barnato Walker and Lettice Curtis. Now in 2014, her autobiography is being updated and augmented with many more images and information not previously available.I recently met Stella in Emsworth. At the age of ninety and full of vim, she’s amid a whirl of activity in advance of her book’s publication. It is timed to coincide with the D-Day 70 Years Commemorations. Stella Rutter Age 90. Copyright Anne Grant. 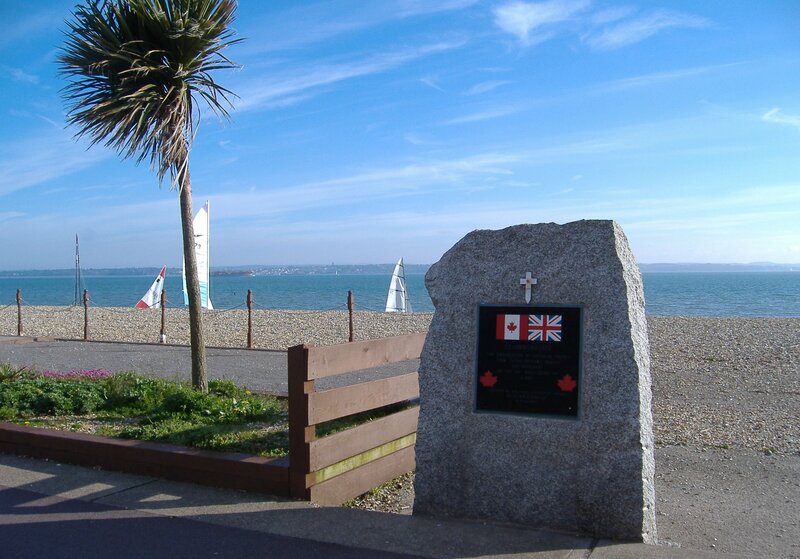 The latest news on the Lee-on-the-Solent D-Day 70 Memorial Airborne Invasion can be found by following this link. Stella recently received a lengthy transatlantic phone call from an American film producer, trying to glean her knowledge about Spitfires shipped to Burma in crates for assembly. Those same crates, buried somewhere, contain assembly drawings done by Stella. The search for them continues. Stella has been able to ascertain that Joyce got married in 1947 to Ronald Albert Coleman of Chads Avenue, North End, Portsmouth. He was working as a draughtsman. Joyce, then living in Seaton Avenue, Copnor, Portsmouth, was working for the Gas Company at the time of her wedding. Joyce Cooke would have known Stella by her unmarried name of Broughton. If anyone has any knowledge of Joyce or Ronald that they would like to share with Stella, she can be contacted by using this email address. 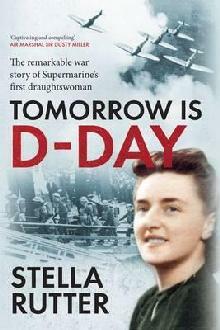 Stella Rutter’s autobiography, ‘Tomorrow Is D-Day’, will be available in early May 2014, from Amberley Publications. 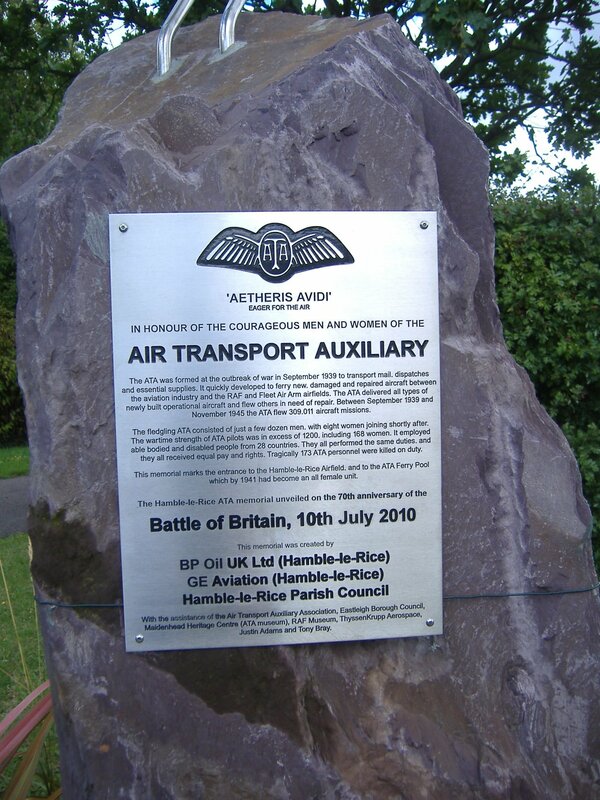 2nd June 2014 – D-Day 70 Commemorations at Daedalus, Lee-on-the-Solent. Local school children from Crofton School, Stubbington, and Meoncross School, accompanied by their History Teachers, had the opportunity to meet Stella Rutter and D-Day Veteran Arthur Bailey. The pupils listened to their experiences and then asked questions. Stella’s verdict on the day: “It was wonderful. I really enjoyed meeting the pupils. Lee Flying Association are to be congratulated on organising such a wonderful day. My thanks to them. Stella also presented a copy of her book to the first Dakota pilot who landed at Daedalus that afternoon. 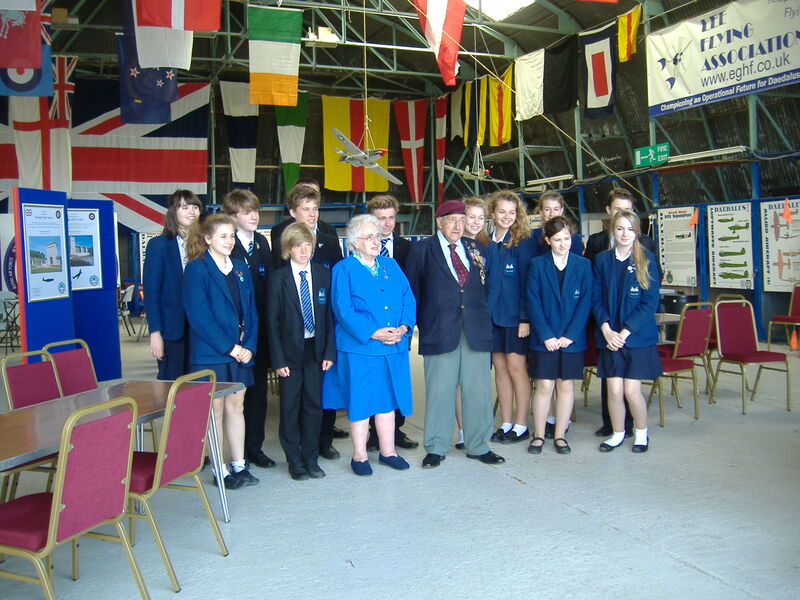 Crofton Schhol pupils meet Stella Rutter and D-Day Veteran Arthur Bailey at Daedalus. Copyright Anne Grant.